Are you ready for a family trip to Costa Rica that you’ll never forget? We specifically design our Costa Rica family vacations for families with kids, toddlers, babies…and adults! We keep each member of the family in mind. From the grandchildren to the adventurous uncle, all members of your group will be able to experience plenty of wonderful activities and tours that will engage the children while keeping even the most well-traveled adults entertained. A highly experienced and personable travel agent will plan your trip and ensure that your vacation is safe, versatile, and fun. You will have the experience of a lifetime! See for yourself what a Costa Rica Escapes family vacation is like. Read more reviews from our travelers on TripAdvisor (and here), Google, and Facebook. Our proven family vacation itineraries are unique. They are designed with various activity choices to fit a variety of travel styles, from the adventurous and active family with teenagers to the laid-back family that wants to observe nature in a relaxed environment. We tailor the accommodation choices for your group’s specific needs based on the age of your children and the amount of space that you require. All of our accommodations are boutique properties offering a plethora of things to do in a comfortable and safe environment for everyone. Costa Rica Escapes has designed the following vacations for families of all different sizes and ages, and they include efficient travel routes. Each trip offers various levels of adventure and education-based excursions. When we help you plan one of our family trips to Costa Rica, you will have various options and customizable elements that allow you to make sure the experience is exactly what the entire group will enjoy and appreciate during your special time together in this magnificent country. You will be amazed as to what your family will experience and learn in just a short time traveling in Costa Rica! Review our family trips below, or customize your own experience. This trip visits a couple of Costa Rica’s best-kept secrets and is excellent for adventurous families with teenage children. It encompasses an incredible variety of natural rainforest environments, and the adventures on this trip are uniquely unforgettable. From white-water rafting on the Pacuare River and sleeping deep in a rainforest jungle lodge to exploring the “Amazon” of the Costa Rican rainforest in the Osa Peninsula, families are sure to see (and experience) a great deal of what Costa Rica offers. This the most popular out of all of our Costa Rica family itineraries. It’s a great introductory trip to Costa Rica and will keep families of all ages/travel experience entertained and engaged. You will visit the cloud forest, rainforest, jungle, and beaches! You will also see volcanoes, experience the mountains and soak in natural geothermal hot springs before relaxing on the beach as monkeys swing in the vines and snack on mangoes overhead. Pura Vida! This trip is great for families that want to see both the mountainous rainforest and the beach without extensive travel time. There is some extra time at the beach built in for those who seek it at the end of their travels. In this trip, you will visit the beautiful area of Arenal to see the amazing volcano before heading west to the Pacific Coast for some rest and relaxation on the beach. This family itinerary allows for both light and high adventure activities. There is always a great deal of wildlife seen on this trip and the final beach location is up to you to choose. This trip works extremely well for families with younger children. It’s also great for families with students who are interested in learning more about the natural sciences and biology of the rainforest. There are some wonderful light adventures included in this trip. You’ll have the opportunity to explore various national parks with knowledgeable naturalists and local guides. Choose from various different beach locations and try your hand at surfing or deep-sea fishing! Is Costa Rica a safe place for families to vacation? – Yes, Costa Rica is very safe for families with children of any age. This is one of the main reasons why it continues to grow in popularity among parents and grandparents as a top worldly destination for family vacations. Healthcare facilities, private clinics, and hospitals with bilingual staff are plentiful and well-developed throughout the country. There is very little violent crime in Costa Rica, and the country of Costa Rica does not have a military. Outfitters and adventure suppliers are well educated and properly equipped. Regulations for tourism and adventure sports are developing each day, but it is very important to use appropriate resources to assist you to connect you with the most capable providers. Is it safe to drive with my family in Costa Rica? Yes, however, it is strongly recommended that you leave the driving up to the professionals and utilize private or semi-private transportation. We highly recommend that you do not rent a car to navigate your family. Driving techniques and rules in Costa Rica are very different and rental cars are quite expensive. Signage and lighting on roads are scarce. Roads tend to be narrow and often times in bad condition. Driving yourself and your family adds an additional layer of stress to your vacation that can be easily avoided. Do I have to purchase airfare before I contact you? No. Airfare can be purchased before, during or after our conversations begin. While we do not purchase airfare on our travelers’ behalf, we can assist in the process by offering advice and suggestions on where to fly to/from, and when to buy flights. Which airport(s) in Costa Rica should I use? There are two major international airports in Costa Rica. There are options to use one airport or both during your trip. This decision is best made based on the experience that you want your family to have. We have some thoughts on this that we can share with you in the planning process. San Jose (Juansantamaria) – SJO, which is located in the center of the country. Liberia (Guanacaste) – LIR, which is located in the Pacific Northwest region of the country. Do you offer travel insurance for our family? 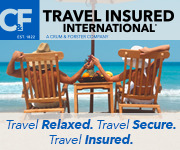 Yes, based on years of research, we have a preferred provider that we refer travelers to for obtaining trip insurance. However, there are many reputable providers that you can choose from. Is there an in-country emergency contact for us? Yes, along with a 24-hour on-country Costa Rica Escapes contact, you will have contact information for all of the providers that you will be working with during your travels. Will my family need vaccinations? We recommend some additional vaccines for your trip to Costa Rica to consider for your family (depending on where you visit) as recommended by the CDC. Beyond routine vaccines for the whole family, the Hepatitis A vaccine is recommended (babies aged 6-11 months can be given this vaccine) along with the Typhoid vaccine (children aged 2 and older can get some form of this vaccine). Will my family need VISAs or just passports? How long can we stay? You and your family members will only need individual passports according to Travel.State.gov as long as your trip is no longer than 90 days. A return flight is required for entry. Where can I find information on exchange rates for the US Dollar? We recommend XE.com to find current exchange rate for USD (“Dollar”) to CRC (“Colon”). Also check the current currency restrictions at Travel.State.gov. Based on your comfort level, there are various ways to move forward and secure your family vacation with Costa Rica Escapes. The list below should act as a guideline while you move forward in the process. You can always email or call your Costa Rica Escapes’ Itinerary Designer, who will be a resource to you throughout the entire process and is available to answer any and all questions. After a review of our vacation options, please email or call us to begin a dialogue about your family’s trip. Based on the outlined itineraries, let us know which one(s) appeal to your family. Tell us about your family and desired travel experience. Who is going? Ages? Time of year? Duration of travel? We will begin discussing ideas to personalize the vacation of your dreams. We consider a personal, telephone connection as a vital piece of communication as the planning process starts. We fully understand that these trips are an important and big investment. We want to speak directly with you to ensure that Costa Rica Escapes is a good match for your desired travel experience. Our team is available to speak in the evenings and over the weekends as your schedule permits. After a 10-15 minute introductory phone call, we will have what we need to get to work. We’ll create a preliminary itinerary and price range to send to you for your review. Based on your feedback and follow-up conversations, our team will continue to customize the trip details and price to your specific needs. As these samples and revised itineraries are created, they will be emailed to you and discussed in follow-up conversations. This process continues, and you will be notified of due dates and deadlines for your trip as necessary. It does not make a difference if you have already purchased your airfare to Costa Rica or not. You can call to discuss things with us at any time throughout the process. You can call us after or before the airline tickets have been purchased and we will tailor the trip around your flight times. Costa Rica Escapes does not purchase airfare for travelers. We can give you advice on how to secure the best airfare during the process, but it will be up to you to buy your flight. You will need to send us your flight information at some point early in the vacation planning process. Once a travel plan and price have been developed and you are comfortable moving ahead, you will need to send a deposit and application to secure your itinerary. We will work with you to define a deposit schedule that works for both sides. Once a deposit is received, details for your vacation accommodations can be shared and reviewed. When a deposit has been received, we will verify availability and share the details of the accommodations with you in an email. At this point, you can reconfirm accommodations and give us feedback based on your research. This gives everyone the chance to follow up and make changes to the accommodations, if necessary. We take a great deal of pride in our accommodations and almost always exceed expectations for the travelers that we work with. One week (seven days) before your trip, you will receive a detailed, day-to-day travel itinerary that outlines your trip and gives you all of the necessary information and instructions to carry out your vacation. Let’s Plan Your Costa Rica Family Vacation!